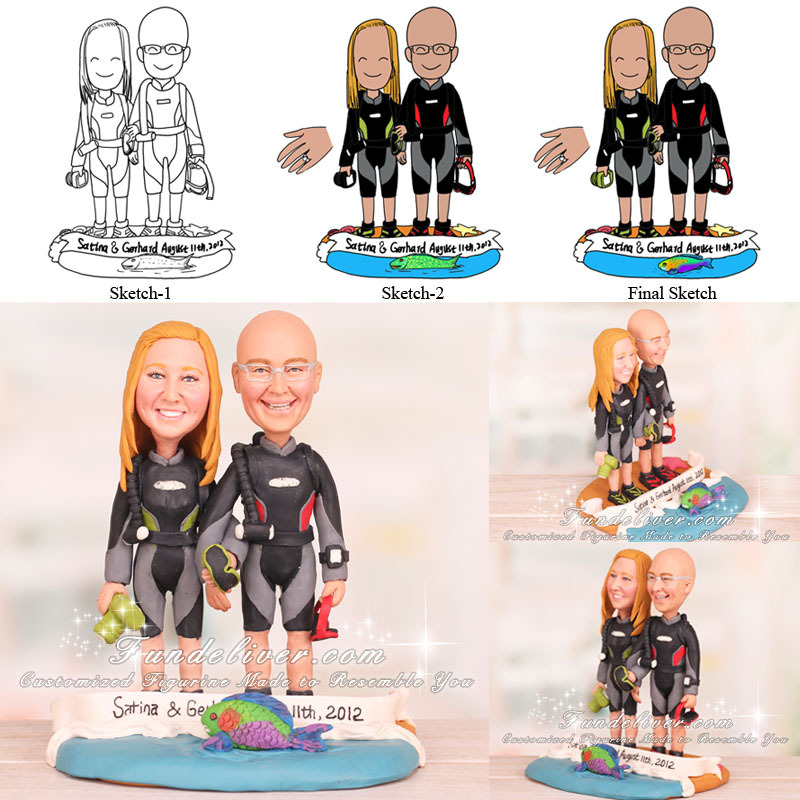 This is a completely customized scuba divers wedding cake topper ordered by one of our customers. They would like a couple figurine to be arm in arm, standing on a sand beach with shells, starfish and blue ocean, and a parrot fish swimming in the ocean. The parrot fish is quite important, since it is their common good luck charm! The groom is bald, wearing glasses and a black, gray and red wet suit. Also he is wearing matching fins, holding a red mask and dive computer on his arm. The bride has long blond hair without curls, wears black and lime green wet suit. She is also wearing matching fins, holding underwater camera and green mask. Both of them have tanks on their back, and there is a diamond ring on the bride’s ring finger. 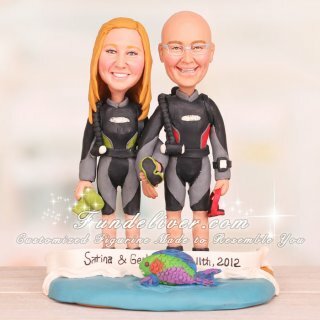 Love this scuba divers cake topper? Want to have a similar one? We can make it! Just send us your idea and your reference images about your diving gears. We can replicate them to match your hobbies perfectly.